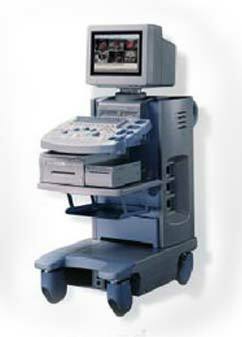 Ultrasound is a useful way of examining many of the internal body's organs. Ultrasound imaging is a painless procedure that uses sound waves to view and produce a picture of the abnormal tissue within a body. The outcome of the test is called a sonogram. Ultrasound does not use X-rays or other types of radiation and thus it is a safe diagnostic tool used to evaluate abnormalities detected by using other testing or screening techniques. The examination is carried out by a consultant radiologist usually in the main x-ray department of the hospital. He will send a written report to the requesting doctor. It is usually performed in a slightly darkened room. What happens when ultrasound is performed? There are no special preparation for the test. It is advisable to wear two-piece outfit as you will be asked to take off your clothes on the upper part of your body. During the test you will lie on a padded examining table. The radiologist will apply a clear gel onto the body part which is being examined, and will then gently move a specially designed sensor (transducer) over the area of interest. A black and white image will be visible on the screen, copies will be taken of these images and the radiologist will evaluate these pictures and write his report. When the investigation is over, the gel wipes easily away. The test takes approximately ten minutes. Who will arrange my appointment? When the test is requested by a doctor, the x-ray department will contact you with an appointment time. Some patients have an ultrasonography on the same day as they see the breast surgeon, but this is not possible for all patients. When do patient generally get the results? This will depend on various factors. If you are seeing the surgeon on the same day, the written report may be put into an envelope for you to take to the surgeon and he will discuss the results with you. For the majority of patients, the report is sent on to the requesting doctor. If your ultrasound has been requested by your family doctor, you will be advised how soon you can contact him for the result. It is not possible to telephone the x-ray department for your results.